"So you're a cop," she said, meeting his stunningly blue eyes, noting the breeze ripple through his hair. He certainly fit the stereotype. Broad shouldered and strong. Opened black leather jacket with the collar turned up. An incredible heart-stopper with his sophisticated good looks. But cops were the worst choice for a husband, she reminded herself--even if she were looking for one, which she definitely was not. Cops lived in the fast track. With violence. And danger. Cops were gunned down every day. From the time I could find my way to the Saint John Library, I was a constant visitor. For me, the library was a magical place - a hushed, warm haven where, through the pages of a book I could travel to far off exotic places in my imagination. I could experience vicariously all the joy, romance, terror, tragedy and triumph of the characters in the stories. Among my favorite authors were Mark Twain, Edgar Allan Poe, Charlotte Bronte, Shirley Jackson and Phyllis Whitney. Far too many to list here. I am forever grateful to them all, for it was through reading their works that the seed to be a writer was planted in me. I wanted to join the ranks of those authors who had given me so much pleasure, and in turn tell my own stories. I had learned about the power of words. Reading is, of course, where it all begins for all writers. Although it might surprise you to know that a number of aspiring writers have told me they didn't have time to read. Or that they didn't read because they wanted everything in their own work to be totally original. Sadly, I don't expect to read much of their work in published form. So the first key to publication is to Read! Read! Read! Nothing you didn't already know. But it's true; we learn by osmosis. And we learn by doing. When I first set pen to paper with thought of publication, I didn't know bad literature from good. I devoured it all, and learned from it all. I came across the True Confessions in the market section of a copy of Writer's Digest Magazine, and it seemed possible to me that I could write one. I was right. 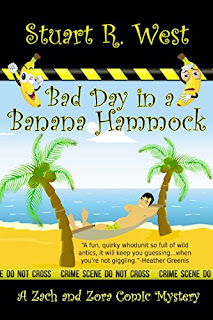 That first story was titled: I Didn't Kill My Husband, But I Might As Well Have. Pretty bad, I know. But looking at the models on the page portraying the characters in my story, not to mention my cheque for $125.00, I felt like I'd won the lottery. The only downside was that my name wasn't on my story. You don't get a bi-line from the confessions. The stories are supposed to be true. Or at least read like they're true. Everyone I wrote sold. I seemed to have a knack. But I never approached the writing of these little stories lightly, or with tongue in cheek; I always wrote from my heart, in all seriousness. When I could no longer do that, I stopped writing them. My children were small then, three under six years of age, and I was squeezing in writing time when I could find it. Usually, in the evenings after they were in bed. (Ah, to be so young again! ) Later, I wrote while holding down a full-time job. You do what you have to do. John Grisham rose at 4:00 a.m. to get in his stint of writing before going off to his law office. My second story, God's Special Gift, made the rounds for a time and finally sold to Home Life magazine in Nashville. It was about my grandmother, who died in a house fire when I was 15. Writing that story, albeit many years later, was very cathartic for me. And I got a bi-line. My work soon found its way into the now defunct, (unfortunate, because it was a fine magazine) Atlantic Advocate, both fiction and non-fiction, and various other magazines and newspapers. Pregnant with my fourth child, I determined to pursue my lifelong dream of writing a novel. That summer, I sat on our back deck and read a stack of suspense novels of the sort I wanted to write. I reread Poe, Patricia Highsmith, Shirley Jackson and many of the new authors who were also becoming my favorites. In the fall, I began writing my own suspense novel, The Strawman. (Later Zebra Books would change the title to Listen to the Shadows.) I wrote it at our kitchen table in longhand, and the book took a long time to write. I worked on it off and on over a period of maybe four years. Finally the novel was finished. I'd already gone through my Writer's Market, as well as checking out the books on the shelves of our local bookstore, and Zebra seemed right for The Strawman. I sent it off. It came flying back within a few weeks, but the attached slip of paper wasn't quite a rejection. Anne Lafarge, acquisitions editor at the time, had scribbled a note saying she liked the book, but it was too short. They needed 100,000 words; mine was about 75,000 words. I settled down to work. It took another four months to add the other 25,000 words, which I did by weaving in a couple of subplots. In November I sent the manuscript off again, addressing it to Anne LaFarge. On the outside of the package, in bold black marker, I printed: Requested Material, just in case she forgot me, which I'm sure she did. One day in February the phone rang. I knew intuitively that it was Zebra. They wanted to publish The Strawman. When my husband came home that night I was at the stove cooking spaghetti. He took one look at my face, and said, "You sold your book." It was a dream come true. I felt weepy and humbled. And very happy. Nowhere To Hide later received an Eppie Award for best thriller. After that Chill Waters received the Blood Dagger Award. I was very happy. Back to square one? Well, not quite. What I have now is a track record. Publishers tended to give my work a longer look before they turn it down. This is a precarious business, with no guarantees for any of us. So you must love the actual process of writing. In the end, the only thing we have any control over is the writing itself. It takes courage to be a writer, to put our work (ourselves) out there, never knowing if it will be praised or ridiculed. We must rise above the fear, and do what we know we can when all cylinders are firing. So give that critical editor on your shoulder the bum's rush (He gets called in for work later.) and write your novel. Enjoy the writing; give yourself to it like a lover. Get out of your own way by focusing on the characters and their story. And know that you are not alone. All around the globe, at this very moment, writers are sitting at kitchen tables with pen and paper, or at their computers, struggling to write their own novels. I’ve written five suspense novels to this point in my career, the new one on the way. 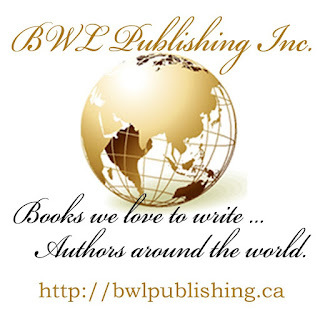 All are published by a wonderful Canadian publisher Books We Love Ltd, all available at amazon.com , Barnes and Noble and various other online publishers, in both paperback and ebook. There, in the bright light, walked a tall muscular man, young, his long blond hair framing a tan face with icy gray eyes... The visage of Adonis on Hercules’ body. Zania’s gaze roamed over the regular lines of his jaw, the full, sensual lips, dimpled chin, down the expanse of his hairless pectorals, and stopped on the leather cod piece embossed with Tor’s hammer. That’s all he wore. So, he was a Viking. 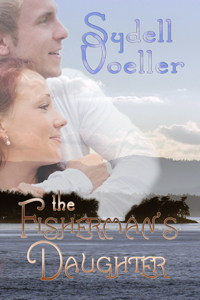 Make sure to visit again for a few lines from Sydell Voeller, the week of April 26. Does everyone start married life with rose colored glasses? I'm sure no one thinks their marriage will end in divorce. I certainly didn't. Mine was the perfect love, the perfect marriage. I was going to have the perfect life, and it was an absolutely perfect day for a wedding. The sun streamed through the window as I walked down the aisle on my father’s arm. Johnny looked so handsome standing at the altar waiting for me. 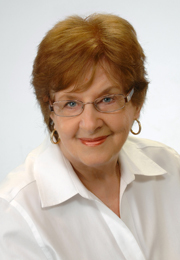 Come back next week to read a few lines from Vijaya Schartz. "An evil witch places a curse on Alana Cullain, turning the once beautiful woman into an ugly hag. Chased from her village, Alana seeks sanctuary in the dark forest. 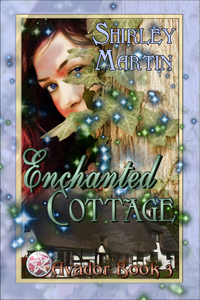 There, she finds a strange cottage, once she'd never seen before, and makes her home there. Demoted and badly wounded in battle, mercenary soldier Colin Duffrey heads home to recover. Along the way, he finds a cottage in the midst of the forest and finds refuge there. A woman, marred on the outside, and a man, afflicted on the inside, meet in an isolated cottage. There, they learn that they can help each other. And with a bit of magic, miracles can happen." Fantasy romances are fun to write. You can let your imagination run free, unhobbled by earthly limitations of time and space. As with writing any novel, it's a good idea to begin with the question: what if? In writing my fantasy romance, I wondered what if an innocent young woman is accused of dark sorcery and chased from her village. An evil witch, jealous of Alana Cullain's beauty, places a curse on her, turning the once beautiful woman into an ugly hag. At the same time, Morag, the evil witch, casts a wicked spell over many villagers, afflicting them with a fatal disease. Morag blames Alana, her face now covered with purple blemishes, for the deaths. The people chase Alana from the village. With nowhere to go and no one to turn to, Alana seeks sanctuary in the dark forest. There she finds a strange isolated cottage and makes her home there. She's determined to make a life for herself, even if she must suffer solitude for the rest of her days. What's a romance without a hero? Enter Colin Duffrey, a mercenary soldier, demoted and badly wounded in battle. Heading home to recover from his injury, he takes a shortcut through the woods and finds a secluded cottage there. What will happen when a handsome soldier meets an ugly hag? Can they find happiness together? Tomorrow would be the last day she'd see him. How it hurt, how she would miss him, this man who had become part of her life in such a short time. Memories of Colin came in a rush, of the first day she'd met him, of taking care of him through his feverish illness, and the fear that he might lose his arm. She recalled his smile, his husky voice, everything about him that made her realize how much he meant to her. She held the door open for him, and he came inside, carrying the tack and saddle. "Soon we won't have any room for us," he said with a laugh, setting the tack and saddle by his knapsack. Determined to hide her joy, she fixed a neutral expression on her face. "I see you purchased a horse, what looks to me to be a fine animal." What a brainless remark, she thought. "Aye, she should get me home within a few days." He smiled then, that heartwarming smile that could win over the worst scoundrel. "That's not all I bought. Recall I said that I wanted to repay you for all you've done for me." From inside his coin purse, he drew out a velvet bag and handed it to her, an expectant look on his face. She pulled the drawstring apart and gasped. "My bracelet! My gold bracelet!" He frowned in puzzlement. 'Yes, it's yours. I bought it for you." She shook her head. "No, you don't understand. This was--is--my own bracelet. My mother gave it to me years ago." She explained about selling the piece because she needed money. "Oh, Colin, how could you have known. . .?" He pulled out a chair and sat down. "That's the strange thing about my purchase. Something drew me to this piece, almost like magic beckoning me." He laughed. "Silly, I know. But something urged me to buy this bracelet for you." Overcome with emotion, she fought the tears that threatened to spill. Despite her efforts. tears misted her eyes. So happy to have this cherished piece returned to her, she wanted to kiss him and hold him and tell him she never wanted him to leave. But she could neither do nor say what her heart wanted. Suddenly aware she must look even uglier with her tearstained face, she brushed her hand across her cheeks. "Thank you, Colin. I thank you from the bottom of my heart." He reached over and clasped her hand. "Something to remember me by. Tomorrow I leave for home."